I’m formulating ideas for a comic at the moment. I’m pretty certain that in the first part of the story, the main action is going to be set in and around Cabot Tower, or at least a fictionalised version of it, which is a real life location I walk past every day when I’m going to and from work. Unfortunately it’s been rigged up with blinking lights so it’s not quite as fantastical looking as it could be in twilight but I appreciate that it’s preferable to having a low-flying craft collide with it. 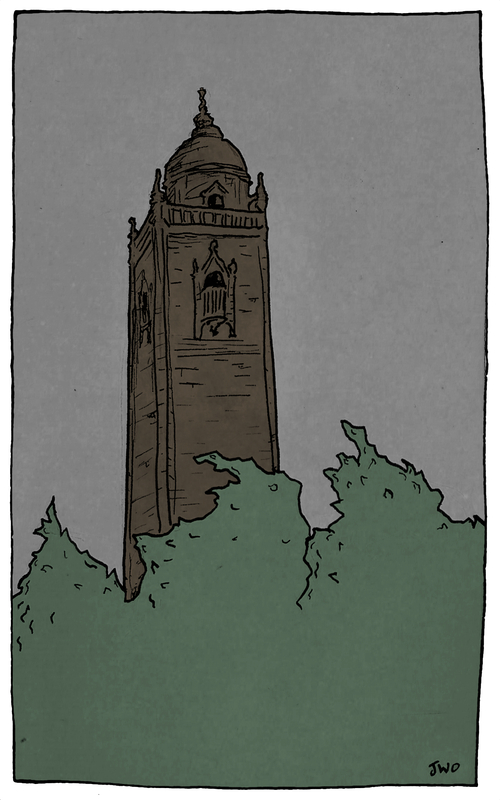 This entry was posted in Landscape, The Magpie King and tagged Brandon Hill, Bristol, Cabot, Cabot Tower, Clifton, Comic, Crow, Fox, John Cabot, landscape, Magpie, Magpie king, South West. Bookmark the permalink.